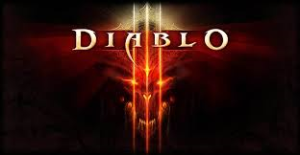 There is another pre-order promotion running on a PlayStation 3 game at Tesco – this time it is ‘Diablo III’. About which, of course, I know nothing! It doesn’t matter if you don’t have a Playstation, oddly. Online and High Street games reseller CEx will offer you a decent price for it, which should easily see you in profit. You should also be able to manage to sell it on ebay. I would estimate that you could generate £25 after all of your costs, including postage, which would have left you paying £15 for 1,000 points. If you are using those for Goldsmiths, Safestore or another 3x or 4x deal, you will have done OK.
As with all pre-order deals, Tesco will charge you immediately. The upside is that you will get your 1,000 immediately too! The link you need is here. There is also an Xbox version here.